For any Hypnotherapist, information gathering is an essential stage of a session. Once you have some background history on your client then it will give you a better general picture of your client. 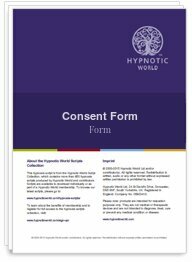 This is a standard Consent Form for hypnotherapy clients, which is designed to be used at the beginning of your first session.